I had the good fortune to attend the annual ISTE conference this past June out in Denver. 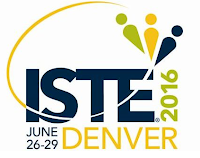 ISTE is a great educational technology focused conference to attend every so often to keep a good pulse on what's coming/going/successful in the world of technology integration. 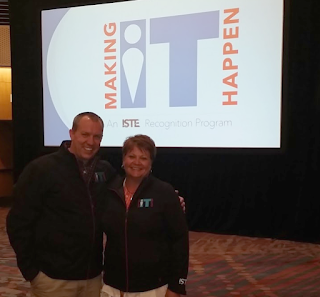 This year, I was able to attend as one of two Wisconsin ISTE "Making IT Happen" award winners. We were able to attend a nice luncheon along with other award winners from across the country. 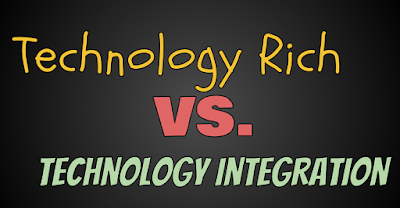 The rest of this blog post is going to highlight some things I saw or learned about while at ISTE that I want to share with other educators. I attended a great session on day 1 that shared out about Augmented Reality by Matt McGuire from Canada. I appreciated his analogy that "Augmented Reality" is like when you are watching an NFL game and you see the yellow 'first down line' or the '2nd and 10' marker on the field. Those items aren't really there -- that's augmented reality. You're looking at reality through a lens and something else is there. AR is like a fancy QR code where something in the scene you're looking at is the 'trigger' for something else to happen. I'm familiar with AR and this is nothing new, but he shared some great apps and examples of where AR is being used in education that I will reference below. One company that is making a lot of these apps is Daqri. Here's an overview video of their products to get a better sense of AR if you are interested. Elements 4D (iOS | Android) - print out and create physical cube nets of the periodic elements. Use your tablet or phone and in the app, when you look at those cubes and put them together, you will see visual of what's happening. See a chemical reaction happen! See the weight and other characteristics. Free! Go download it and try it out. 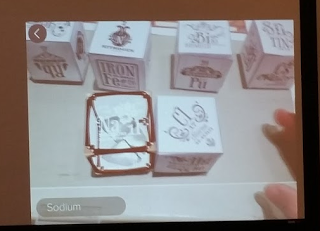 Example of Elements 4D being used on a tablet to show chemical reactions happening. Anatomy (iOS | Android) - See the parts of the body laid out and manipulatable on your tablet or phone. Point your device at a special print out and see the anatomy come to life. Enchantium (iOS | Android) - Print out little circle discs and using this app, you can see 'strings' you can pluck on your device to make certain sounds and chords. Very cool. Here's a sample video if you want to see how this works. AR Flash Cards (iOS | Android) - print out animal flash cards and lay on the table. Use the app and hover over them and you will see animals appear on screen. Tap the animals to hear the sounds they make. Good for younger ages. Quiver Vision - print out and color some pages and then use the app to see those things come to life. Create your own flag. Design your own sneaker. He mentioned other apps to look into and there are more in his presentation if this interests you. My wonder coming away from this is -- now that Android Apps will work on Chromebooks, would these work well in a Chromebook classroom? Some friends at ISTE did some digging and don't think this will work just yet as the camera on a Chromebook doesn't react the same as a rear-facing camera of a phone or tablet, but I have to believe this is coming along soon. Google for Edu made (4) great announcements at ISTE (blog post here). 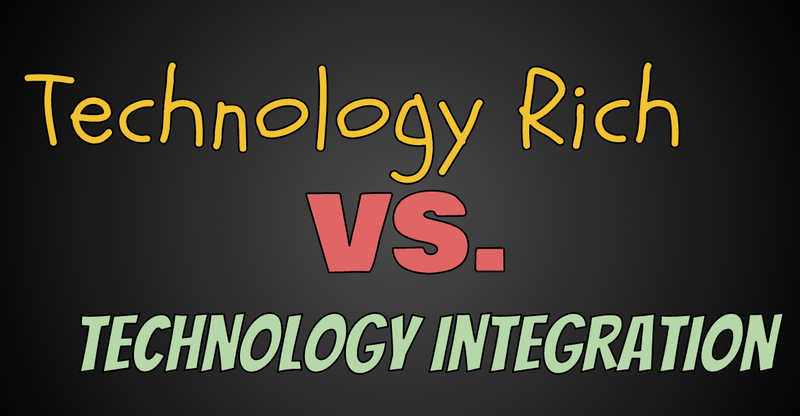 Here's a quick summary of my thoughts on this as I was able to see some of this used while at ISTE. Expeditions App is now live! We were able to have Google Expeditions visit us this past spring while they were traveling around trying out Expeditions with classrooms. 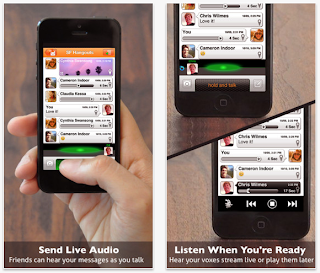 I'm very excited that the app is now out there for anyone to download. I'm anxiously awaiting the ability to CREATE your own expeditions with words, visuals and audio. A teacher being able to make their own expedition will be amazing! With this announcement, Best Buy for Education is now also selling Expeditions 'kits' that classes can purchase which come with devices, headsets, a teacher tablet, carrying case and router. I know some educators that have pieced together their own kits and this price for a 30 kit ($10k) seems a little high to me. My guess is there will be more partners that release kits in the coming months and competition is a good thing. 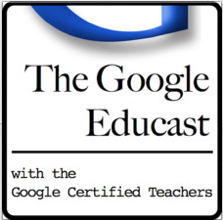 GoogleCast for Edu - I am an avid Chromecast user at home. I love being able to fling something I'm watching on my device up onto the TV. This announcement now makes this easier to do in the classroom and you don't even need a Chromecast! All you need is the GoogleCast for Edu app installed in your browser. 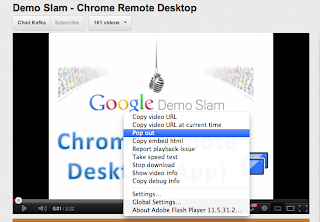 You can then invite students to 'cast' their screens to your computer (with your computer being connected to the projector). 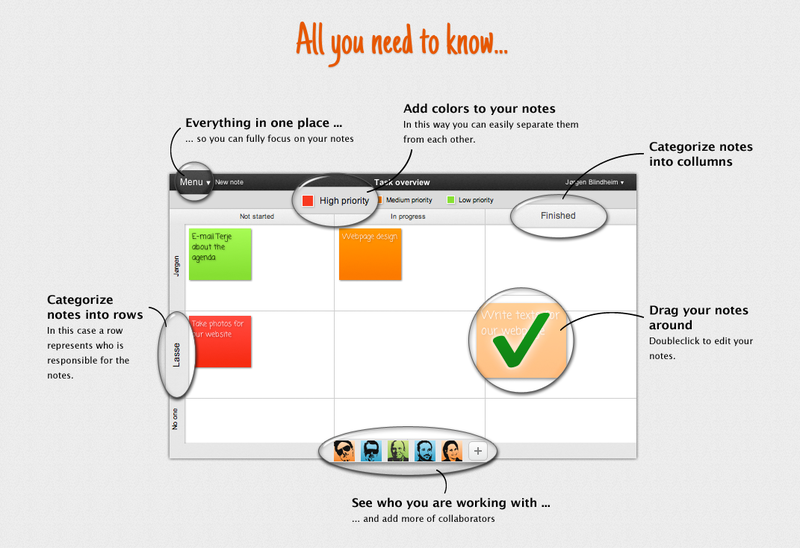 Great for letting students take the lead in sharing and learning! Intro video below explains how this works. 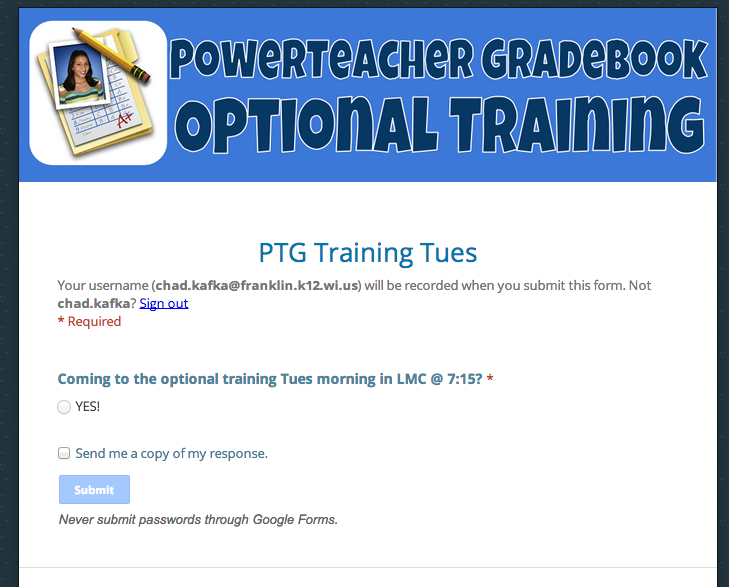 Google Forms adds Quizzes! So we've all created some quizzes using a Google Form, but the process to grade usually involves using an Add-On. Well, Google for Edu now built in some features to Forms to make quizzes more of an easy reality. 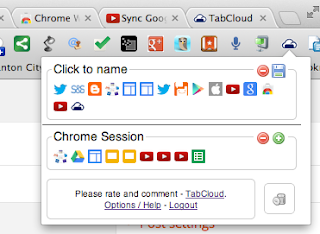 This is great for formative assessments where you just want to do a quick check for understanding. Here's a blog post from Jeff Herb that outlines how to build a quiz in Google Forms. Bundled Creative Apps! Google for Edu is now working with other developers to bundle together apps at discounted prices for Edu. The first package of apps contains Explain Everything (diagraming, explaining, recording), WeVideo (video editing, movie making) and SoundTrap (audio editing, podcasting, music recording). All 3 are great creation apps that will help take students' ideas further. Video below is an example from a middle school that worked with these apps. 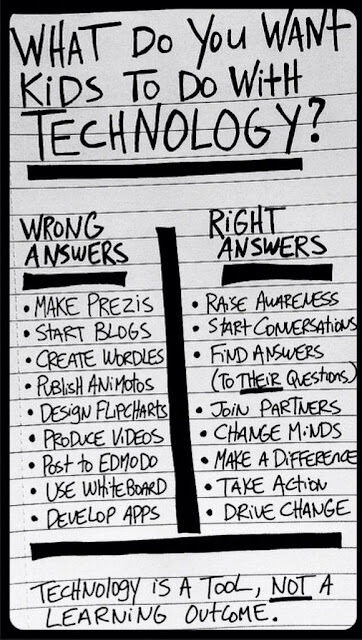 What does this mean for your classroom? Well, hopefully more student choice. You'll have to talk to your tech director or administrator that handles the finances to figure out if your school or district can purchase these apps but this is a great step in the right direction for more solid creative choices on Chromebooks. I was also able to attend a Google Partner session and Google Trainer session where some other information was shared about what's coming, but I'm under NDA to not share that information until Google announces it themselves. More cool stuff is coming! We are very good at telling kids what they can't and shouldn't do online. How do we change the conversation to really have them be a citizen instead of just covering the etiquette? Sincere Compliment - story about a student who started a social media account to boost others up. Great to build community at a school. Online vs. Offline Self: Who is the Real You? - great video that tries to make the distinction between 'online' and 'offline' self. Great discussion starter in class. Attended another digital citizenship panel. This site by Jason Ohler has lots of resources I plan to dig through a little more. I also dug a little bit more into Learning Management Systems. We use Moodle in my district and I was curious about some of the features of some others as I see more and more classes going online and blended. 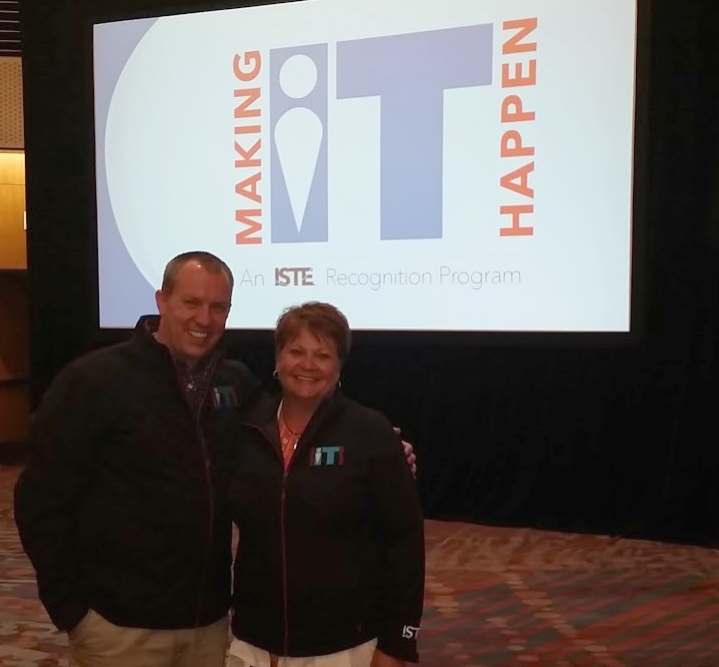 While at ISTE, I was video interviewed by Sean Cavanagh about challenges with tech in the classroom for Education Week (original post). The video is below. To round things out, I also poked and prodded into other tools out there that will help us streamline some efficiencies in our district so we can route 'digital forms' better or steal some time back from our current paper processes. Nothing big to share there yet as I'm still on that quest. Thanks for reading - I hope I was able to share some things with you that might impact your classroom. Please comment back if this impacted you in anyway. #Impact. ...done? Good. So, now that you know a podcast can be audio or video one consumes, I wanted to share some podcasts that I listen to. 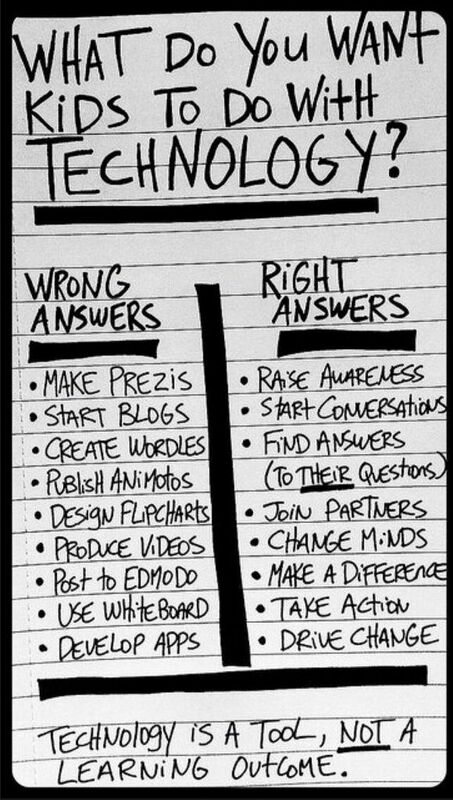 I should preface this also by saying that I work in technology so a lot of the podcasts I listen to have to do with technology. But, I'll also share some podcasts I listen to for fun as well (though those are pretty geeky too). That's the beauty of podcasts -- there is more than likely something out there that will interest you. 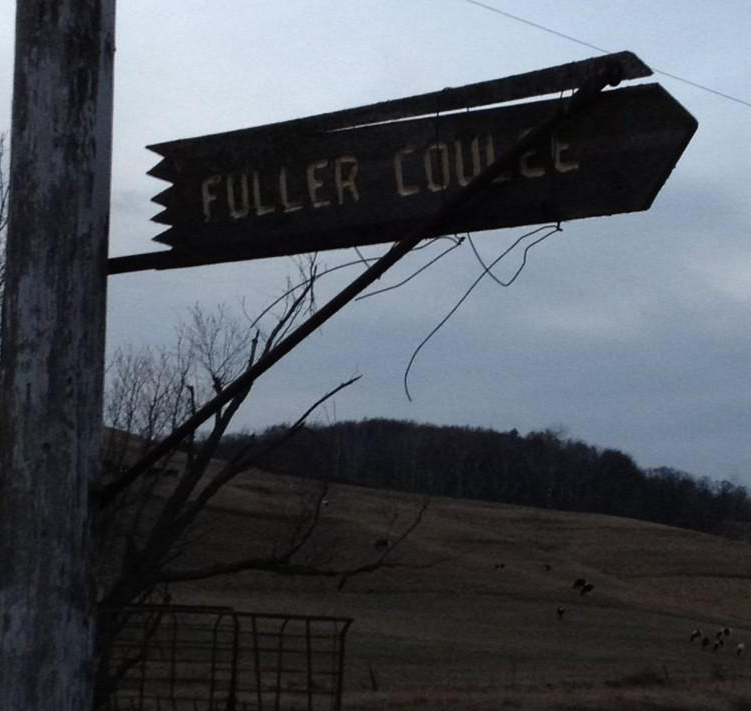 You just have to search and find it. Favorite TV show you like? Chances are someone does a podcast about it. Like gardening? I'm sure you can find a podcast with tips for gardeners. Enjoy listening to authors talk about their books? Probably something out there for you. 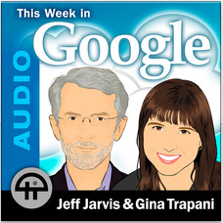 This Week in Google (iTunes Audio | iTunes Video | YouTube Channel) - Part of the TWiT (This Week in Tech) network. My new favorite part of this show is the “Google Change Log” where they share what’s new from Google in terms of updates, releases, etc. The group that leads this discussion also talks about legal, social and political implications related to web based tools and Google. They release their shows in both audio and video formats on iTunes and YouTube. 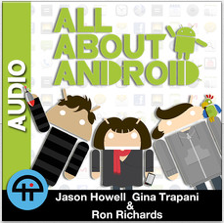 All About Android (iTunes Audio | iTunes Video | YouTube Channel) - Part of the TWiT network. This is a new listen for me. This is a show all about the Android platform. The group shares the latest news and updates. They also share a new app they are using and ways to use it. They release their shows in both audio and video formats on iTunes and YouTube. 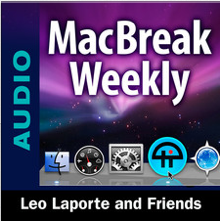 MacBreak Weekly (iTunes Audio | iTunes Video | YouTube Channel) - Part of the TWiT network. This was one of the very first podcasts I listened to. This show focuses specifically on Apple/Mac related news. The panel is very knowledgeable when it comes to technology and would be a good listen for those interested in the ‘super geeky.’ They release their shows in both audio and video formats on iTunes and YouTube. 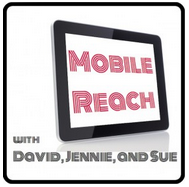 Mobile Reach (iTunes) - Part of the EdReach network. Some super tech knowledgeable friends of mine now host the show and share out uses for mobile devices in the education and the classroom. They share apps, uses, tricks, tips. Good conversation to listen to. Google Educast (iTunes | YouTube Channel) - Part of the EdReach network. Some Google Certified Teachers & Trainers talk new news related to Google and how it impacts education. This is a weekly listen for me as I get a lot of good tips for using Google tools from this group. They also do this as a “Google Hangout on Air” which means it saves to the YouTube Channel if you would rather watch the show than listen. 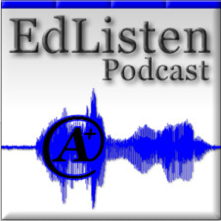 EdListen (iTunes) - This is a new listen for me. Fellow Google Certified Trainer, Bjorn Behrendt, puts out this audio only podcasts where he sits down with usually one other person to talk about topics related to education. 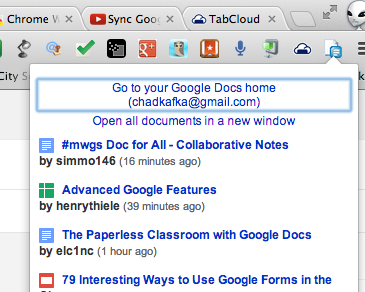 Recent topics have centered around Moodle, using Google in education, productivity with Calendars and other tools. I’ve been enjoying listening to this. 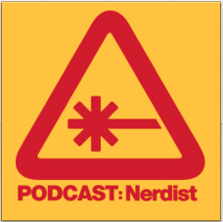 Nerdist (iTunes) - “Nerdist is a place where we nerds come together and share the nerdery that we find.” Chris Hardwick is a TV personality who puts out this audio podcast where he interviews actors, comedians, and the like. I really enjoy the one-on-one conversations and the people he brings in. Probably because I’m a geek. I don’t listen to ALL shows, but he puts them out fast enough that I usually find a name of someone I’d like to hear speak so I listen to THAT show. Tuesdays with Aaron (iTunes)) - Aaron as in THE Aaron. 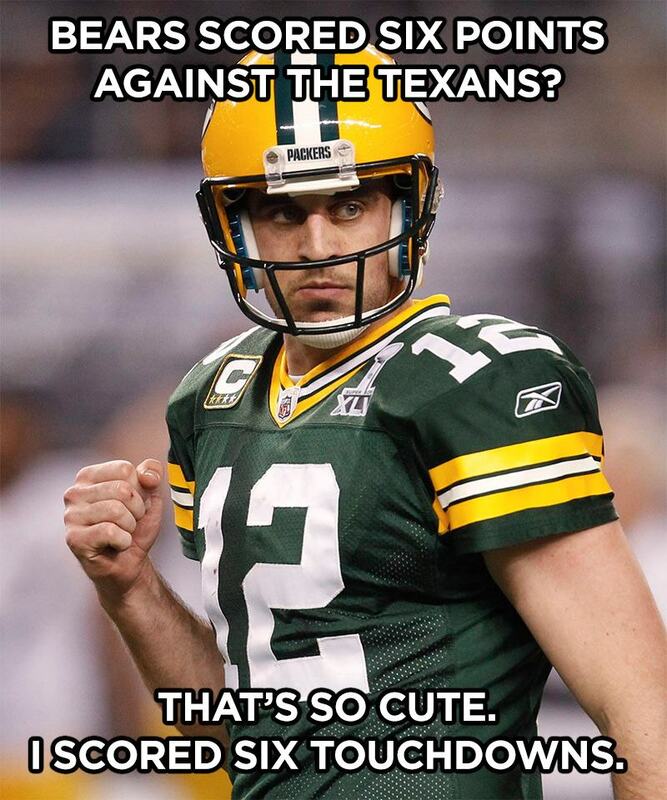 Aaron Rodgers. 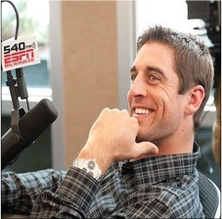 This is a weekly radio show that ESPN Milwaukee does that they also put out as a podcast. Jason Wilde, a sports writer, does a one-on-one chat with Aaron each Tuesday during the Football season. 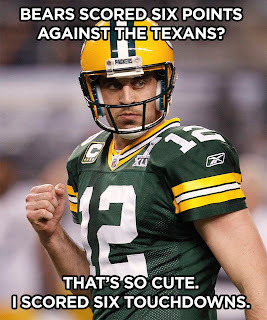 They discuss the previous game and look ahead to the next opponent. I really appreciate how the conversation is very candid and sometimes gets into the hard questions. Wilde also takes questions from fans which leads to some good conversation. 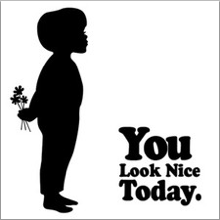 You Look Nice Today (iTunes) - This podcast comes out NOT very often. This is a group of three guys that sarcastically take topics and spin them out to absurd ideas. I can’t really even describe the premise for the show as each show is it’s own thing. Their tagline is “a journal of emotional hygiene.” I appreciate their ‘schtick’ and high brow humor. Their shows are very few and far between lately. 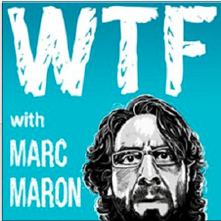 WTF with Marc Maron (iTunes) - If you don’t know what “WTF” stands for, don’t listen to this show. Marc Maron is a comedian that started his own podcast. He does one-on-one interviews with mostly comedians and actors. He swears. A lot. Tagged “explicit” because of that. This is another one I don’t listen to every show but occasionally catch a name I want to hear in a conversation. 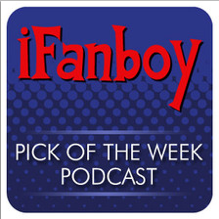 iFanboy (iTunes) - Alright. Confession time. I'm a geek. I know...I know...you didn't know this far into the post that I like geeky things. I used to collect comic books; not so much anymore. The guys that do this show do it weekly and share out what's new in the world of comics. They also do movie reviews of comic-related movies when they come out which I enjoy. This is one that I find myself occasionally listening to just to hear what's new in the world of comics. They do a great job. 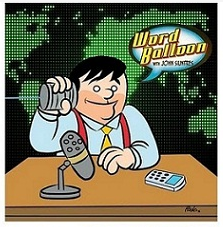 Word Balloon (iTunes) - This is another comic related podcast. John Siuntres, who's a radio personality in Chicago, does this interview podcast where he talks one-on-one with writers, artists and creators. I really enjoy conversation shows like this to find out what a creator goes through during the creation process. This is another that I catch every so often when I recognize a name of a creator he is interviewing. So there you have it. Those are the podcasts I listen to. I highly recommend checking a podcast out. Find something that interests you. If you find it in iTunes, just click SUBSCRIBE and listen to a few episodes to see what you think. If you have an iPhone or iPad, use the PODCASTS app to download some podcasts. 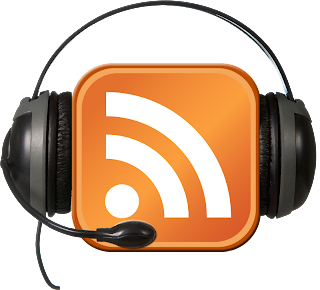 If you have Android, check out Pocket Casts or if you have a Galaxy S3, you can use the KiesCast app that comes with the phone. 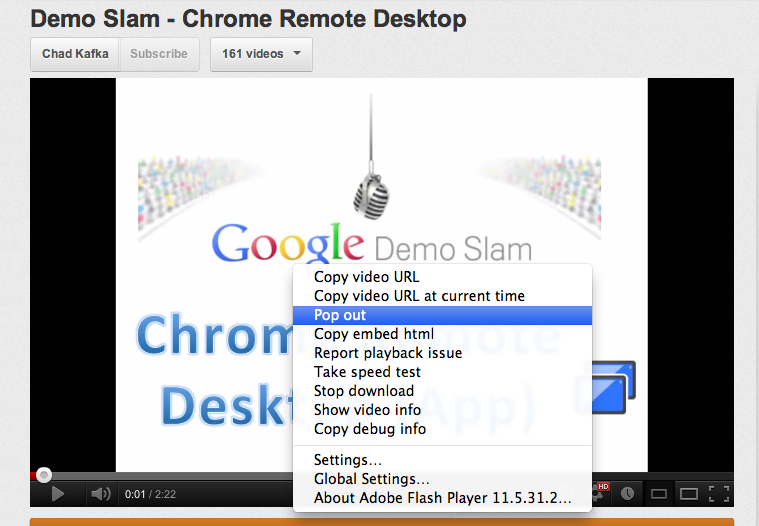 All different ways to get the media on to your device and if you can't figure out a way to do it...Google it. :) Thanks for reading.